Namaste Bengaluru! 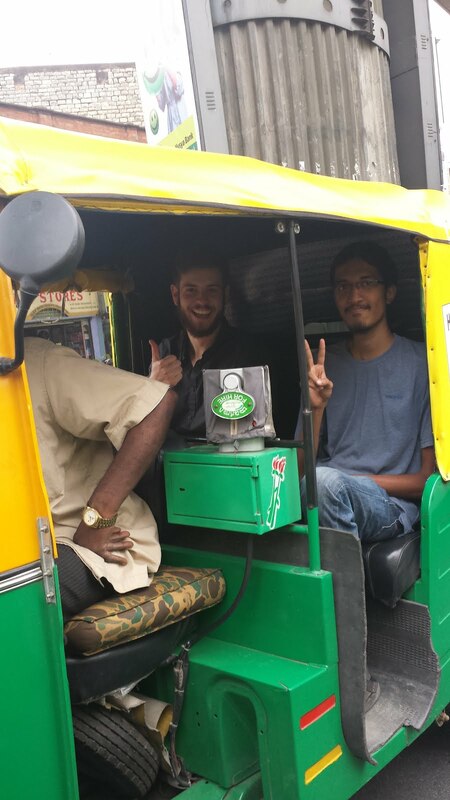 Our first day in Bangalore served as an introduction to the city and a chance for the students to explore in style via rickshaw. Namaste Bengaluru! 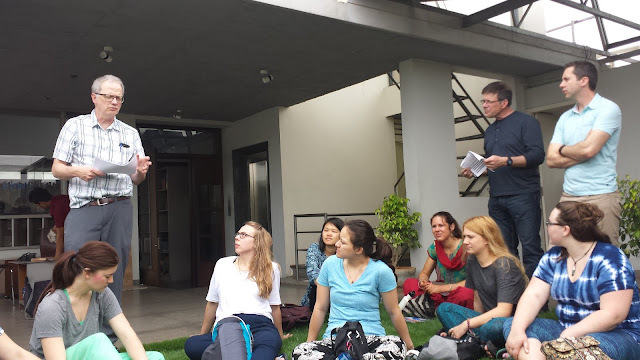 The group began its Indian adventure this morning with a meeting on the roof of the apartment building it is staying in. The building features several solar panels that supply all of its power needs and a rooftop garden which collects excess water to be filtered and recycled. Our first day in Bangalore served as an introduction to the city and a chance for the students to explore in style via rickshaw. Students divided into groups and set out on a treasure hunt, utilizing Indian modes of transportation to locate various landmarks around the city. Whether it was from the back of a rickshaw or as a pedestrian trying to cross the street, we were all quickly immersed in the magical world of Indian traffic and are even beginning to pick up on a new language: honking. 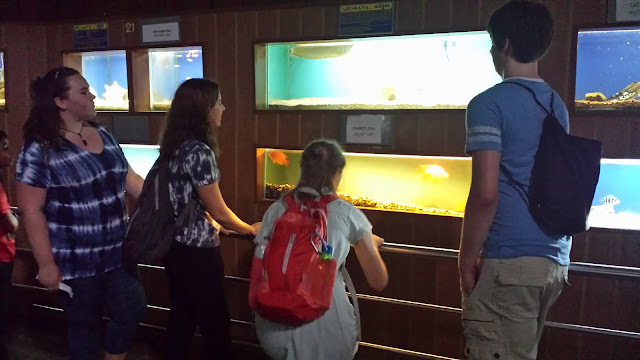 The groups ended up in many different locations along the way, including a mall, a stadium, an aquarium, and a restaurant before rejoining each other for a delicious group dinner. We are excited to continue exploring in the coming weeks and can’t wait to find out what Bangalore has in store for us!